CONSIGLIATO ... Piacevole pensione a conduzione familiare. Cortesia e disponibilità. Posizione tranquilla. Bella piscina. Camere arredate in maniera essenziale ma confortevole. Acqua calda e aria condizionata sempre funzionanti. Grazie. Soggiorno consigliato. The santorini island is well known of its sunset and its night life and ofcourse for the archeological sites a tourist can visit and all the impressive villages that can admire. One of the villages is karterados where Livadaros rooms are located. Livadaros pension is a lovely facility that has more things to offer than the eye can see. It has a great swimming pool and sunbeds with umbrellas around it. A grill and a common kitchen is also available for special occassions and ofcourse parking space for your vehicles. 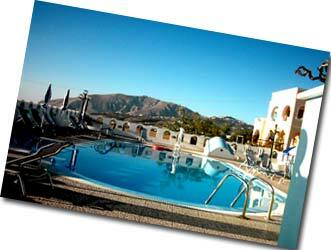 The rooms have airconditioning, television, balcony or terrace, fridge and every day cleaning services. 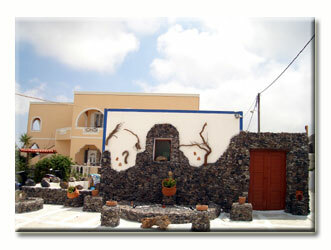 The location of Pension Livadaros is just a short walk from the capital of Santorini island, Fira. The complex offers its own mini bus service to transfer you upon your arrival or departure to the hotel & back. Nearby you can find car rental services, shops & tavernas as well as a local bakery. 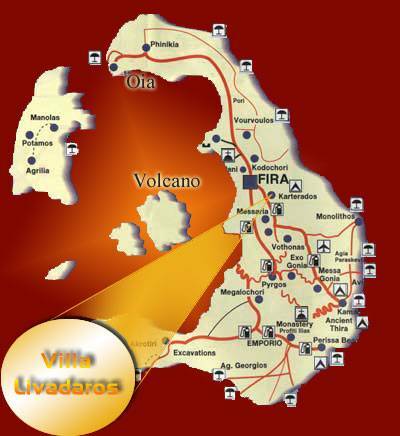 Livadaros rooms is a family business that will treat any tourist like its own member of the family. All the family is friendly and will help you during your accommodation in Santorini by pointing out the best places to visit. Do not miss this unique opportunity to visit Santorini, the most beautifull island in Greece. If cancelled or modified later or in case of no-show, the first two nights will be charged. Pension Livadaros is situated in the traditional village of Karterados, which is a short walk from the capital of Santorini island, Fira.